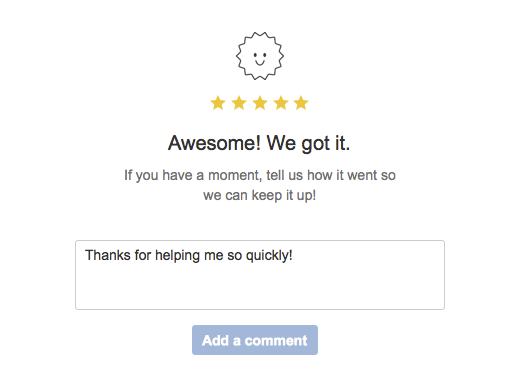 From your service desk project, go to Project settings > Satisfaction settings. Edit Question to suit your service desk. This appears in the resolved issue notification message that customers see. Select Satisfaction in the sidebar. Project administrators can create custom reports analyzing satisfaction trends. A trend graph of the average satisfaction rating for a specific period. This helps view changes in service levels. 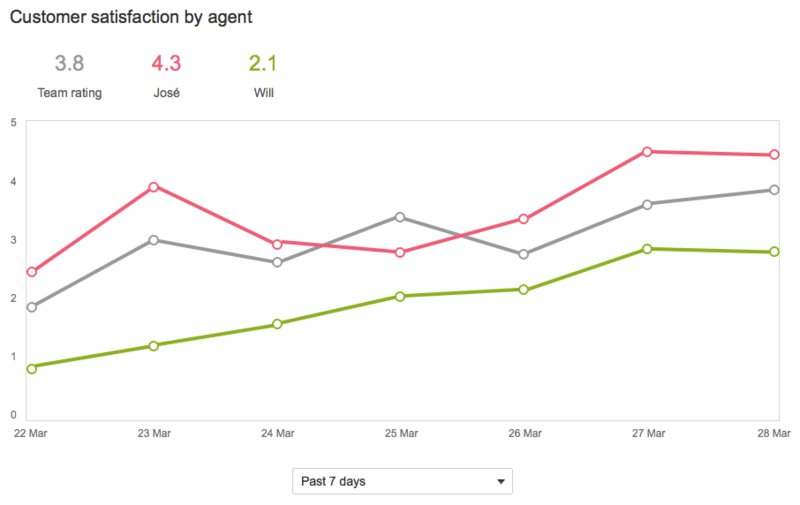 Comparing the satisfaction scores of an agent with their team. This can identify agents who would enjoy further training.